1. Stamp images—Flourishes in Fuchsia, Sentiment in Black and Flowers in Marigold. Emboss flowers, cut them out and use blender pen to color in the flowers with Canary. 2. Cut the following—card base, panels and strip for sentiment. 3. 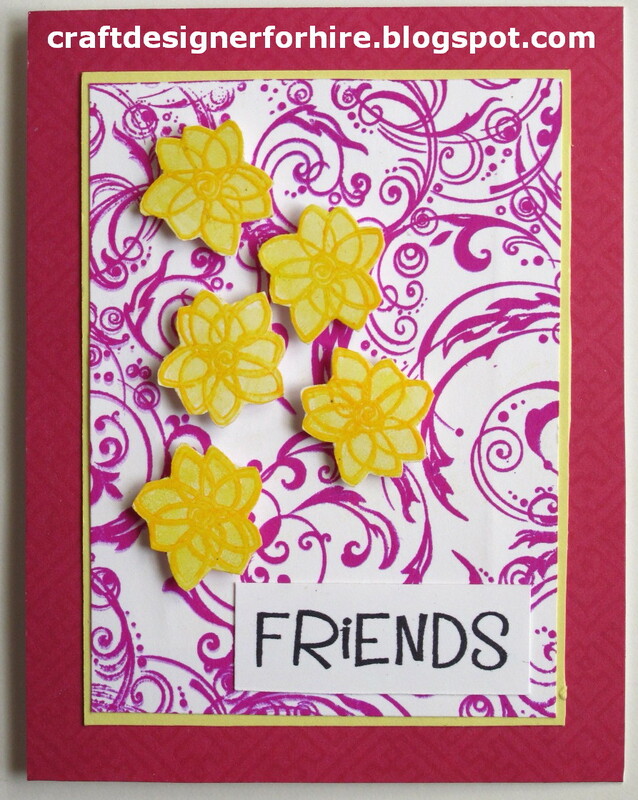 Assemble card with glue and mount flowers with foam mounting tape.